In this example we will use 5 applications, 4 Charts and 1 Container to display the charts simultaneously, as in a dashboard. 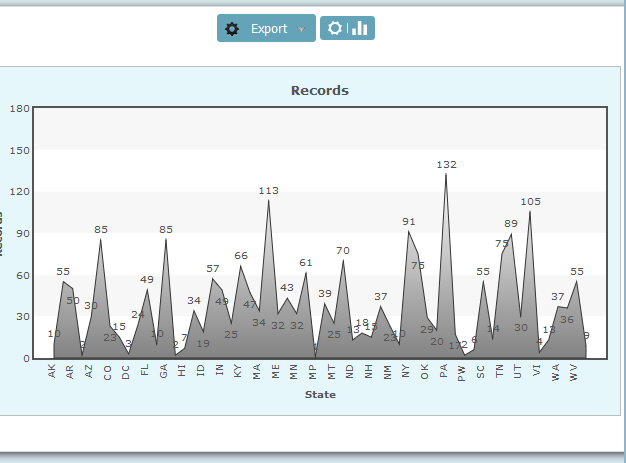 …and here the final application, a Container showing the 4 charts. 1. 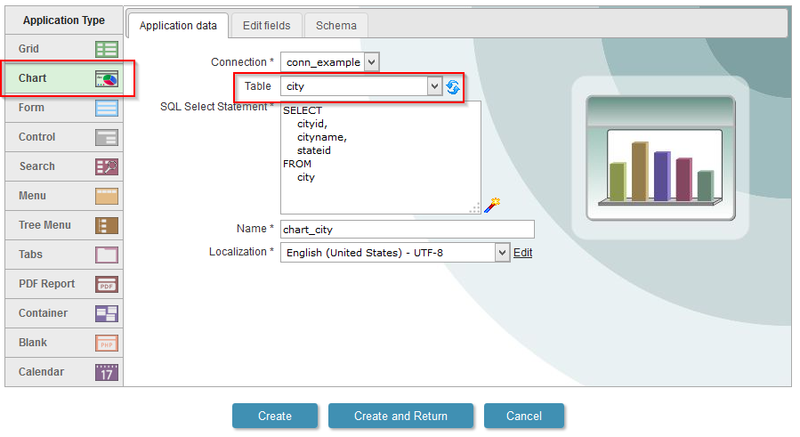 Create a new application of Chart based on the table city. 2. 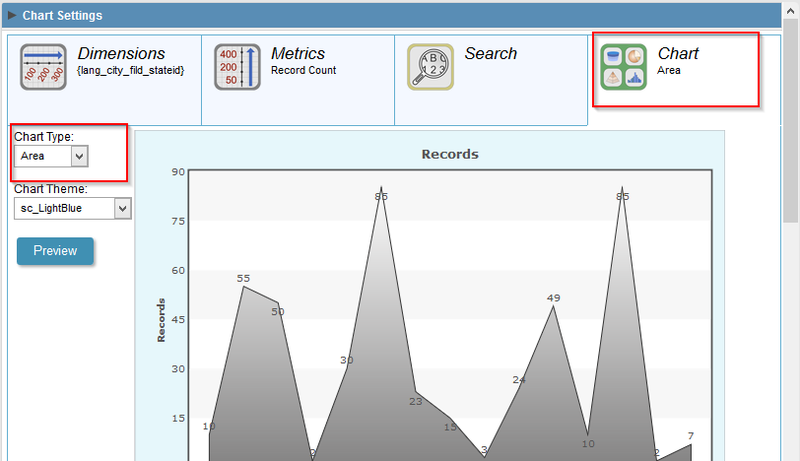 Open the option “Charts” in the application menu. 3. In “Dimensions” we will select the field “stateid”. 4. In “Metrics” we will select “Record Count”. 5. 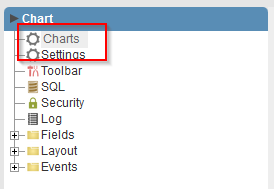 In “Chart”, we will select the type “Area”. 6. 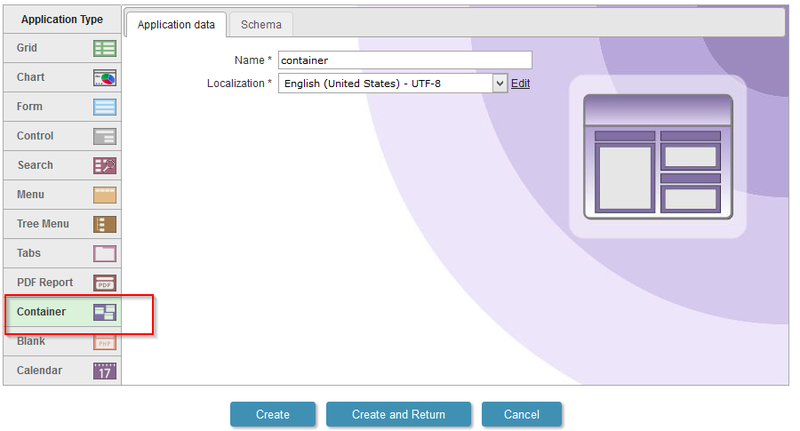 Click on “Run application” to generate the data source and view the application. 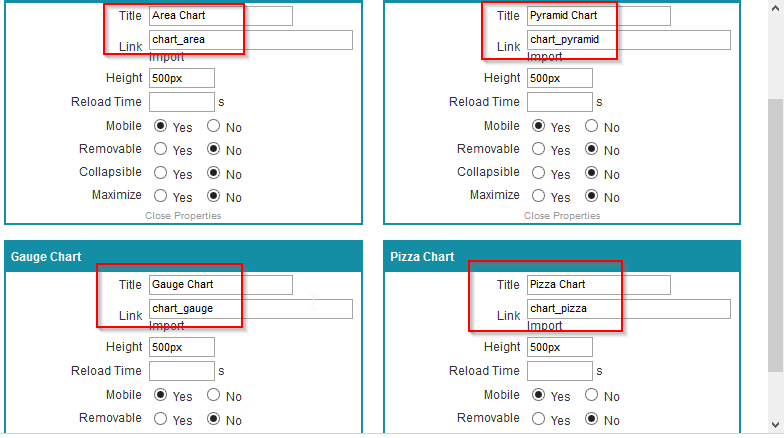 In the “Charts” menu, we will select the “employeeid” field as the “Dimensions”. The “Metric” will be the “Records Count”. 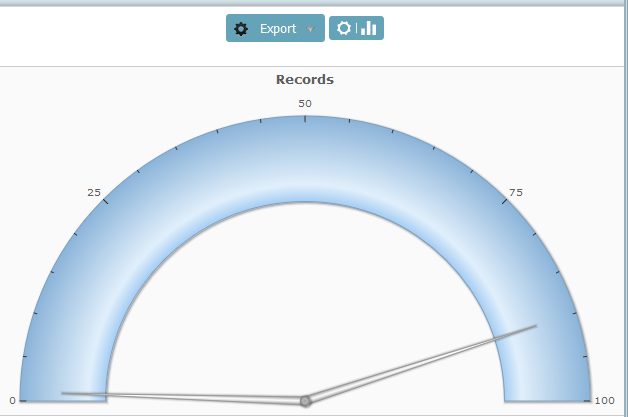 In the “Charts” menu, we will select the “cardtype” field as the “Dimensions”. 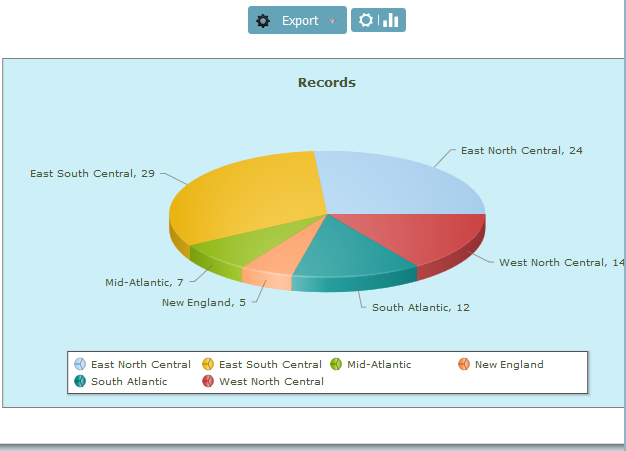 In the “Charts” menu, we will select the “regionid” field as the “Dimensions”. 12. 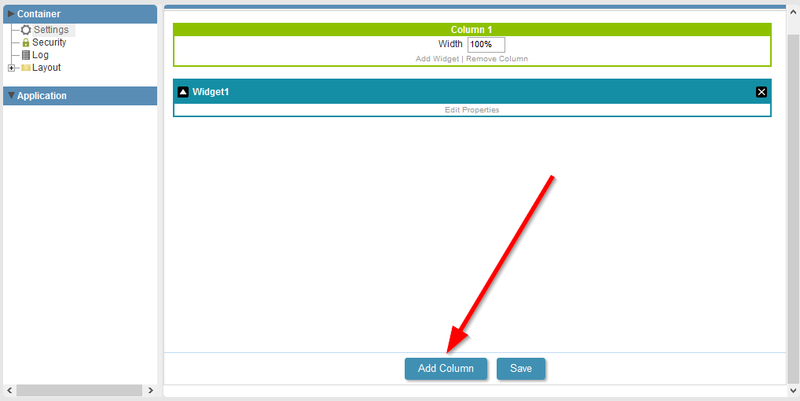 In each column, add another widget. 13. In each of the widgets we will use a 500px height and we will enable only the “Move” option. 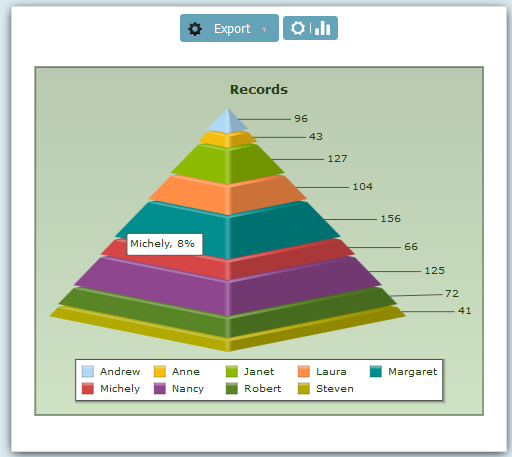 Set a title and link an application of chart for each widget. See the image below.